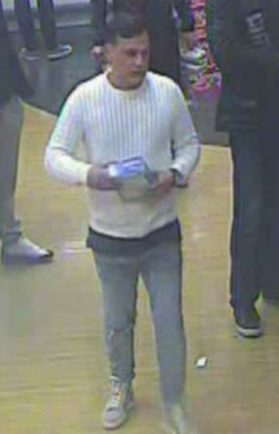 POLICE have released CCTV images of a man they wish to speak to following incidents of theft and fraud in Warwick. 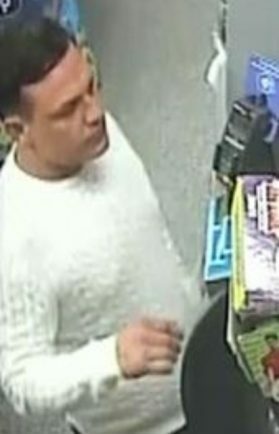 On Saturday May 6 at around 8pm a man tried to buy cigarettes at the One Stop store in St Johns, Warwick and 15 minutes later walked up to the till at the Co-Op in Cressida Close, Heathcote, attempting to pay for washing powder. In both incidents, he attempted to cash large amounts of change and is believed to have distracted and confused members of staff, before leaving with money from the till. Police would like to identify and speak to the man pictured as he is believed to have been in the area at the time and may have important information. Call 101 to speak to police or ring 0800 555 111 to speak to Crimestoppers anonymously.